Deeply intertwined with the life and teachings of Gautama Buddha, Bihar is resplendent with stupas, monasteries, heritage monuments and places of civilisation hot spots like Magadha, Nalanda, Pataliputra and Bodh Gaya which speak volumes of religious harmony between Hinduism, Buddhism, Jainism and Islam. Bihar State Tourism Development Corporation (BSTDC) owns a chain of hotels, restaurants, apart from operating tour packages throughout the year. The most popular Buddhist circuit starts from Patna which has a museum that contains a series of Hindu and Buddhist sculptures and a terracotta urn said to hold the ashes of Lord Buddha. The Khuda Baksh Oriental Library has a collection of Muslim manuscripts including those from as far as University of Cordoba in Spain. In Vaishali, another important location, a number of scattered ruins testify to the once prosperous Buddhist town it hosted. Nalanda, a hot spot of higher education that flourished from 5-11 Century is said to have contained 90 lakh books with 2,000 teachers to impart knowledge to 10,000 students who came across the world. Lord Buddha himself taught in Nalanda and Hieun Tsang, the 7th century Chinese traveller, had stayed and studied here. 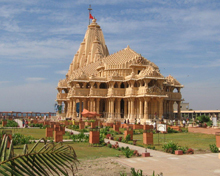 The archaeological digs have discovered buried sites including temples, monasteries and parts of small townships. The royal palace Rajgir was the venue of the first Buddhist Council. According to legend, Lord Buddha spent five years at Rajgir after having attained enlightenment in Bodh Gaya and many of the remains here are tell-tale evidences of many incidents in his life. The hill of Gridhrakuta is quite unique as this is where the Buddha delivered most of his sermons. 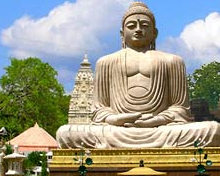 Bodh Gaya is the spot where Lord Buddha attained enlightenment, with the Mahabodhi temple marking the exact location. A pastoral landscape, Kushinagar is nearly 53 km west of Gorakhpur district and is a tourist site as Lord Buddha was said to be cremated here. While the entire state can be termed as a one big monastery with lots of Buddhist relics and ruins, the top Buddhist circuits are Bodh Gaya, Vaishali, Rajgir, Nalanda, Kesariya, Areraj, East and West Champaran and Jehanabad sites. Around 6 million tourists (both domestic and foreign) visit Bihar each year, most of them visiting the Buddhist circuits. The Mahabodhi temple, a Buddhist shrine and has got the World Heritage Tag from Unesco, is a site of year-long tourist flow with foreigners and Indians quite interested to experience the place where Lord Buddha got enlightenment thousands of years ago.